And in the US, that really is the only question worth asking. While Google's Pixel 3 XL will compete with the V40, it's the Note9 that is square in LG's sights here, and it's that phone the slightly-cheaper V40 must live up to. At around $900 on most carriers, the V40 does come in a bit less dear than Samsung's crown jewel, but that's not to say there aren't sacrifices made to get there: the V40's display is notably inferior - offering poorer outdoor performance and blander colors - and its battery is a full 700mAh smaller. It also will only be available with 64GB of storage, to the Note9's minimum of 128GB. And, of course, it doesn't have the Note's signature stylus. Poke around elsewhere, though, and that hundred or so dollars of price delta doesn't just mean losing things. You get a third camera on the rear - an ultra wide angle lens - not offered on the Note. 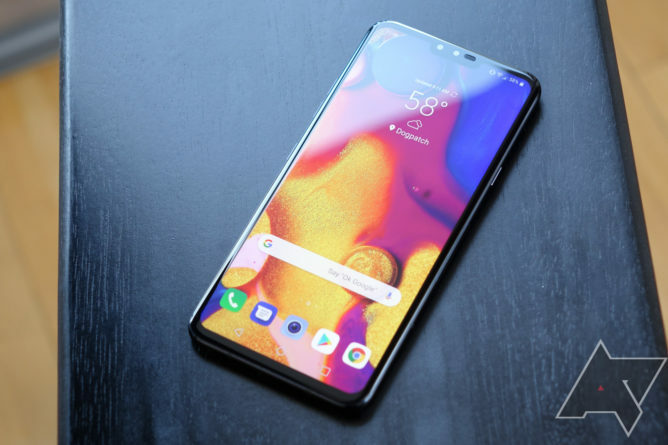 You also get two front-facing cameras, one with a wider field of view for capturing larger groups or scenes, which is handier than it might sound. There are other nice touches: LG's assistant key is mapped to the assistant you'll actually want (Google's), and its fingerprint scanner is placed ideally on the back of the phone in a very natural position. LG's latest iteration of its launcher even incorporates the Google Feed (now Discover), and you can configure it with or without an app drawer. As such, for the first time in years, I didn't feel compelled to switch to a third-party solution on an LG phone. LG hasn't skipped out on the hardware bells and whistles, either: you get a real headphone jack (featuring LG's Quad DAC, for you sound nerds), wireless charging, and a microSD card slot. The phone is rated IP68, meaning solid water resistance, and the glass itself is the latest from Corning, Gorilla Glass 5. So what, then, is the catch? After all, LG's high-end phones are notorious for selling poorly these days, and Samsung's been wiping the floor with them for years now in terms of success. The answers, I'm finding, are the usual story with LG: it's the little to not-so-little things that add up. Battery life has been average, but far from exceptional during my time with the phone. Given Samsung's Note9 lasts well over a day-and-a-half for me, the V40 simply doesn't live up to that high bar. It doesn't even last as long as my Pixel 2 XL, a phone with a processor a generation behind LG's latest. The display is a marked improvement over the V30's (and thus the Pixel 2 XL's), but it's still not on Samsung's level for sheer brightness and contrast. And while I do think the V40 feels a bit more snappy than the Note9, that comes down to animations (Samsung's are slow), not really any big performance difference in reality. The hyper-aggressive processing provided by LG's cameras isn't to my liking - and I recognize that's subjective - and makes even Samsung's bold HDR look conservative by comparison. Performance switching between and launching the cameras was also quite poor at times, something I don't expect of a brand-new phone in 2018. 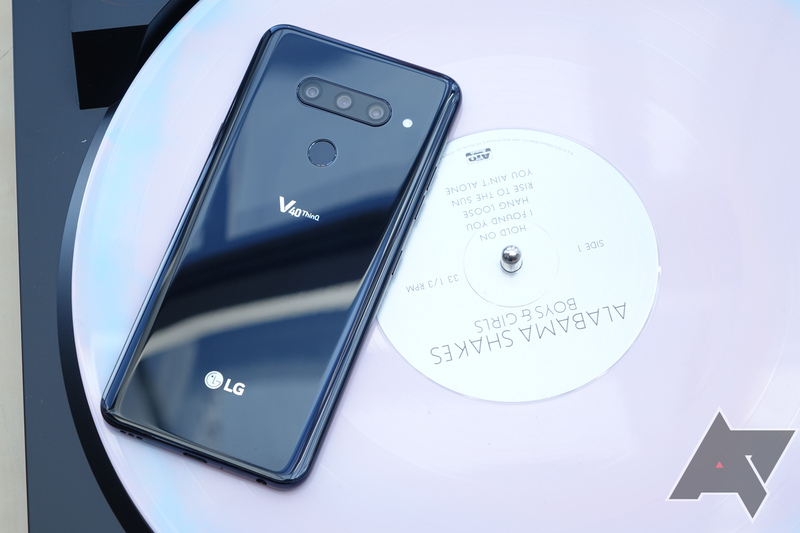 To step back from the nitty gritty for a moment, though, we're talking differences of degrees, not miles here: the V40 is probably the best LG-branded phone I've ever used. The display is a really big upgrade from last year's V30, solving one of the phone's biggest problems, and while battery life isn't class-leading, it's also not poor. It's enough to get me through most days, if not the very most demanding ones - the ones where I have a portable charger on hand anyway. 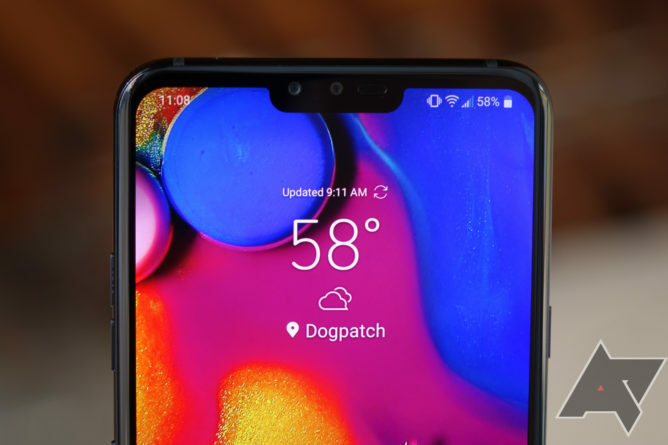 I like that LG's retained the headphone jack, and love or hate the notch, I think this is the prettiest phone LG's built in some time. It feels just that little bit nicer than the V30 and G7 - things just seem to fit together better, more consistently - and it makes all the difference. And with the evenly-toned, colorful OLED panel, you get a wonderful canvas for content. 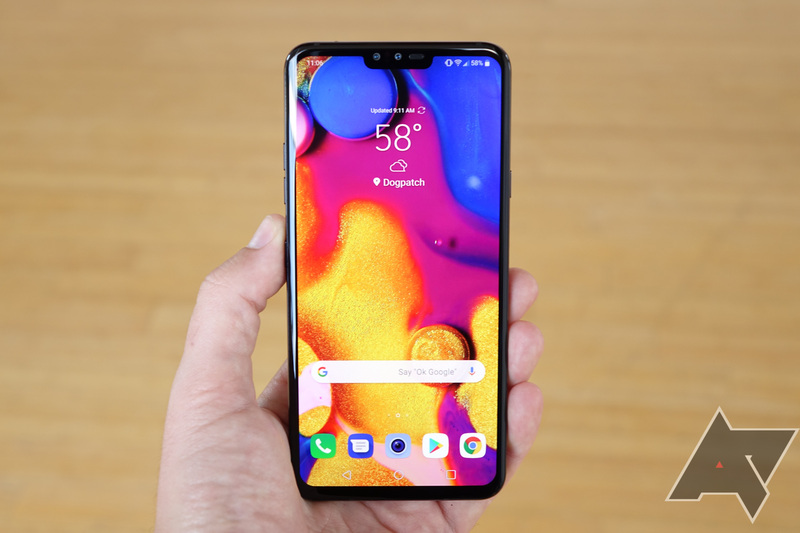 Still, it ships with Android 8.1 Oreo, and while LG says the V40 will be getting Pie "soon," we all know what that means: not soon enough to give us a better estimate. And in the US, carriers will undoubtedly slow down that process even more. Hooray. As to the competition, I have to say: things don't look good for the V40 here in the US. With Samsung bundling and slashing the Note9 all over the place to encourage sales, the V40 has little chance to do what LG phones of years past could not. For one stark example, just look to Verizon. Right now, Verizon is offering the Galaxy Note9 for the equivalent of $800 over 24 months on a payment plan (original MSRP $1000). The V40 on Verizon will debut at $780 after a similar $200 discount (MSRP is $980). The V40 is already a tough sell even when it comes in a hundred bucks cheaper than the Note on paper. In the real world, where discounts and deals put them far closer together? I can't imagine why anyone would buy it.